If you have a septic system, you may have been told that you cannot own or use a garbage disposal due to the negative effects food particles have to the septic tank and the buildup of sludge. This is actually far from the truth. Septic systems and garbage disposals can go hand-in-hand, but there are certain requirements, care, and maintenance that will make the process easier. Here is a look at some helpful tips for creating harmony between your need of a garbage disposal and your picky septic tank. Check the size of your septic tank. The first thing you will need to do is make sure that your tank is large enough to accommodate extra waste particles. An often-used garbage disposal can add a great deal of extra particles to your septic tank, but most modern, larger septic tanks can handle the waste with no problems at all. If you are unsure of what size your septic tank is, obtain an inspection. This will tell you if the tank is ready for a garbage disposal hook-up, or if you will need an upgrade first. Purchase a garbage disposal made for septic systems. All manufacturers are aware that there are different grinding requirements for individuals who have septic systems. 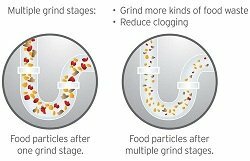 Most of them make special septic-tank-friendly models that add extra grinding stages or use higher-powered motors to pulverize the food waste into extremely tiny particles that will break down easily. It pays to spend a few extra dollars on a high-end, high-quality model to make sure the job will be done correctly. Check plumbing to make sure it is running properly. Before you decide to install a garbage disposal, check to make sure your plumbing is running smoothly without clogging or drainage issues. A garbage disposal can just exacerbate these problems, so it’s important to have the plumbing running properly with no blockages so that the waste particles will reach your septic tank and not cause issues in the pipes. Keep up with septic tank maintenance. If you have a garbage disposal running with your septic tank, you will need to have it emptied a bit more often than you would without a disposal unit. 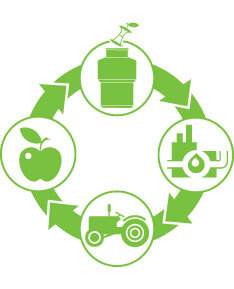 Make sure that you know when it is nearly time to empty your tank and schedule the maintenance properly and promptly. This will help avert any issues with sludge overload and keep your tank in tip top shape. If you take heed and follow the above guidelines, you will have no issues with using a garbage disposal in conjunction with your septic system. Do your research and check the manufacturer’s specifications to make sure the garbage disposal unit you choose is acceptable and appropriate to use with a septic tank. Here are a couple of InSinkErator Garbage Disposals I found that are made specifically for use with a Septic System, they include a dispenser that injects a solution that is made to help break down the food and feed the septic system. Most of the Waste King say they are safe for a correctly sized septic system, but do not include the solution injection. You can also use my disposal comparison table to check for septic approved use.